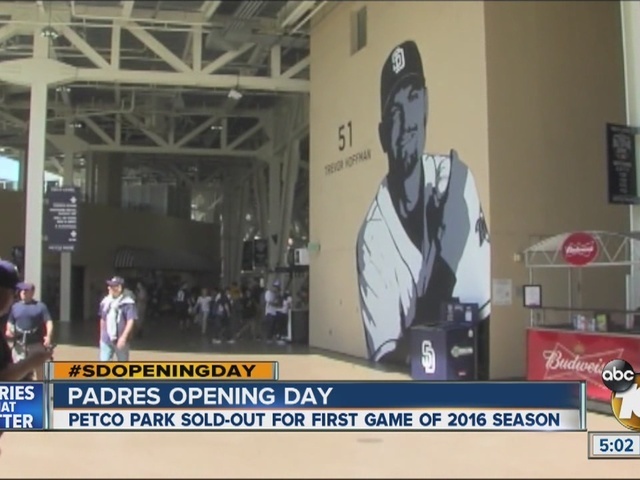 SAN DIEGO -- The San Diego Padres will play their home opener Monday against the Los Angeles Dodgers, with new uniforms, changes to a sold-out Petco Park and a new manager. The Padres will wear their home white jerseys, the first in their National League history to have "SD" on the chest as well as both navy blue and yellow elements. It will only be worn for the 2016 season to commemorate the 2016 All-Star Game, the first to be played at Petco Park. 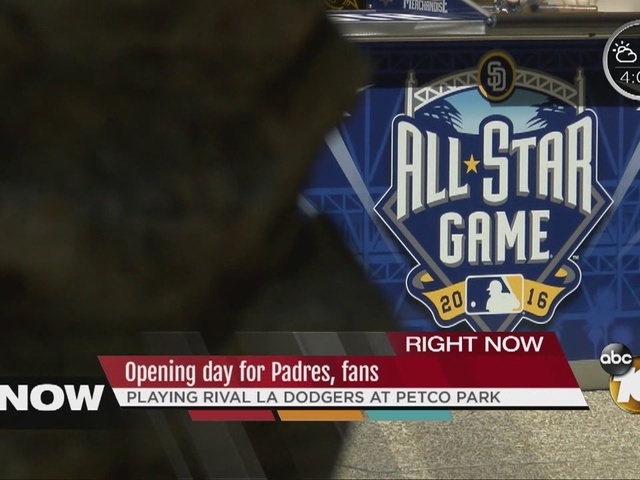 The use of "SD" was made to emphasize the importance of San Diego as host city for the 2016 All-Star Game, a team official said. Navy blue has been part of the Padres' color scheme since 1991, while Padres yellow was an official team color from 1969, its first in the National League, through 1984. The jersey features a 2016 All-Star Game logo patch on the left sleeve. Today's uniform includes a navy blue cap with a two-toned yellow and white"SD," a nod to the two-toned orange and yellow "SD" cap first worn by the Padres in 1991. The Padres will wear their new brown and yellow jerseys on Tuesday and their new Navy digital camouflage jersey on Wednesday. The highest-profile renovation to Petco Park this season is what the team describes as a two-level "social space" in right-center field inspired by San Diego's beach lifestyle in the location previously occupied by The Beachers seating area and The Beach play area. The space features pilings and decking constructed from environmentally friendly recycled composite wood. Drink rails line the front row of each level, with approximately 60 fixed seats between the two. The space will accommodate nearly 600 people in a standing room-only capacity. It will be sold as a group space for the majority of games. The children's sand play area was relocated to a space along K Street, further removed from the playing field and safe from balls in play. Other renovations include an LED lighting system intended to cut glare both inside and outside the stadium and improve visibility for television broadcasts; new backstop netting behind home plate and the installation of 222 new seats in the Lexus Home Plate Club. A new Padres Hall of Fame will open on K Street behind the left field seating area before the 2016 All-Star Game, which will be played on July 12. Today's game will mark the debut of Andy Green as Padres manager. Green was the Arizona Diamondbacks third base coach last season. He succeeds Bud Black, who was fired June 15 after the Padres got off to a 32-33 start. Then-bench coach Dave Roberts managed the next game, with Pat Murphy serving as the interim manager for the final 96 games, guiding the Padres to a 42-54 record. Coincidentally, Roberts will be making his debut as the Dodgers manager today. 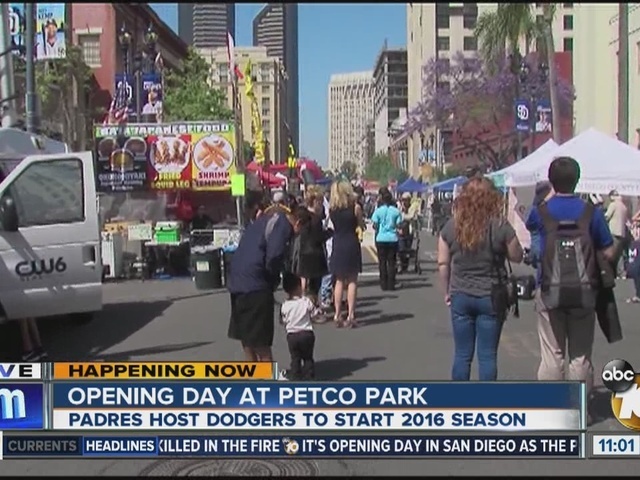 The Padres are advising fans attending today's sold-out season opener to arrive early to Petco Park and for those without pre-purchased parking passes to use public transportation. 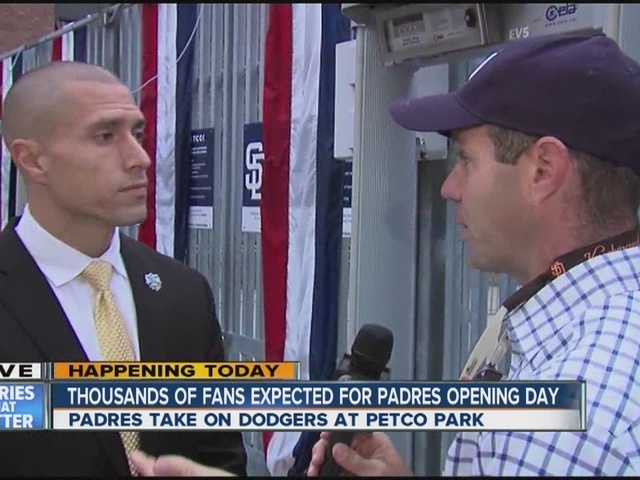 All Petco Park gates will open at 1 p.m., giving fans the opportunity to watch the Padres take batting practice, which will begin at about 1:15 p.m. The Padres will begin taking batting practice at approximately 2:35 p.m. Fans are advised to be in their seats no later than 3:30 p.m. for the pregame ceremonies. 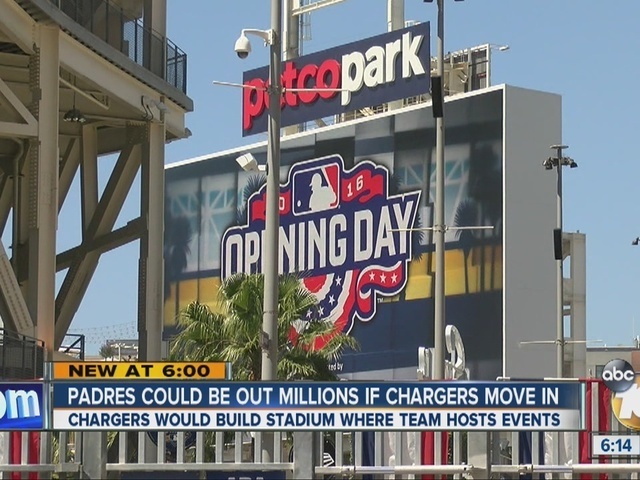 The Metropolitan Transit System will offer additional "Special Event" trolley service from Qualcomm Stadium, where there will be 5,000 free parking spots, and Mission Valley stations to the ballpark area. There will also be increased service following the game. train will leave Santa Fe Depot 60 minutes after the last out. Additional information on transportation-related issues is available at padres.com/transportation. The ceremonial first pitch will be thrown by Randy Jones, in connection with the 40th anniversary of his being selected as the National League's Cy Young Award in 1976, the same year he was the league's starting pitcher in the All-Star Game. Navy Petty Officer Yarrick Conner will perform "God Bless America" during the seventh-inning stretch.